We can’t help but think of the hokey pokey song when we read about the features on these Reebok Men’s Composite Toe Athletic Shoes. (Sing the following to the hokey pokey tune): You put some comfort in, you take some discomfort out, you put some safety in and y ... (see full details) (see specifications) #RBKRB4721. We can’t help but think of the hokey pokey song when we read about the features on these Reebok Men’s Composite Toe Athletic Shoes. (Sing the following to the hokey pokey tune): You put some comfort in, you take some discomfort out, you put some safety in and you shake it all about, you do the hokey pokey and you turn yourself around, that’s what Reebok Men's RB4721 Beviad ESD Non Metallic Composite Toe Shoes are all about. A little hokey? Maybe a little, but you get the point. Suede leather uppers give these black and blue athletic shoes a bit of a retro look. Unlike your typical stark white composite toe tennis shoes, these Reebok shoes have an edgier style. You can wear them even when you’re not doing anything athletic--like running errands or grabbing a burger with your buddies. In addition to looking good, these composite toe shoes feel good too. For starters, your feet will be surrounded with brushed nylon lining. In addition to feeling silky-smooth, the abrasion-resistant nylon resists friction and wear. The EVA cushion insoles in these safety toe shoes have sponge rubber heel wedges to protect your feet and legs from the constant pounding they take on walking on hard surfaces. The insoles are even removable and can be cleaned as needed. For even more non-stop comfort, a heel airbag absorbs pressure as you walk, while a durable dual-density rubber outsole and an EVA cushioned midsole keep you steady and comfortable when you're wearing these men's shoes. Not just for hanging out with your friends on the weekends, these Reebok shoes can also be worn at work. Need protection from falling and rolling objects? No problem. Your toes will be secure beneath the composite safety toe. 100% non-metallic and lighter than steel, these composite toe shoes won’t conduct heat, cold and electricity the way steel does. The toe box is extra wide so your toes won’t feel like they’re stuffed into your work shoes. They also feature dual-resistor, static dissipative technology which means they allow small charges of static electricity to be dissipated into walking surfaces, reducing the accumulation of static electricity. The dual-density, rubber bottom wedge outsoles used on these Reebok non-metalllic shoes give your feet the gripping ability they need to keep you on your toes. Warning: the outsoles can’t help you if you’re a klutz. If you’re clumsy and take a tumble, don’t blame the outsoles. We got a little hokey with the hokey pokey song. But we hope you got the point that Reebok Men's RB4721 Beviad ESD Composite Toe Retro Jogger Oxford Shoes are exceptionally comfortable and safe. My job keeps on my feet all day, in constant motion, so I need a safety shoe as light and as comfortable as possible. I really hit the jackpot with these Reebok shoes.These are my fourth pair of work shoes in three years, and are the best I've worn by a wide margin.There is virtually no break in period with these shoes, they feel great right out of the box. I also cannot believe how light they are. They also look great, I've gotten a lot of compliments on the style and colors. I would strongly recommend these shoes to anyone looking to purchase an athletic style safety shoe, they exceeded all my expectations. I was skeptical about ordering shoes online, but the shoe choice my company gives is limited and very uncomfortable. When the Reeboks arrived, I immediately tried them on and knew they were a winner. They are a bit heavier than regular tennis shoes, but way less than standard safety shoes. Comfort is amazing. Had I known about these, I never would have bought from the company store. These work shoes are exactly as advertised on the website. They are extremely light and comfortable. They feel more like sneakers than actual work shoes. They composite safety toe cap does an excellent job of protection. I work with manholes and the caps have held up very well. The nonslip aspect is also top-notch. I also work with oil and different lubricants. I have yet to slip, even on tile. Great Reebok shoes! Love these shoes by far the best work shoes i have owned!Only problem i had was normally i wear a size 10 but these run a size big so i had to return for a size 9 they fit perfect.overall i would highly recommend these just be sure to order a size smaller then you would usually. 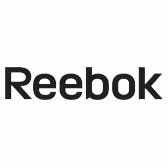 Reebok Shoes: Men's RB4721 Beviad ESD Non Metallic Composite Toe Shoes is being added to your cart.